Description: A new construction project consisting of three linked cabins in rural Alabama. 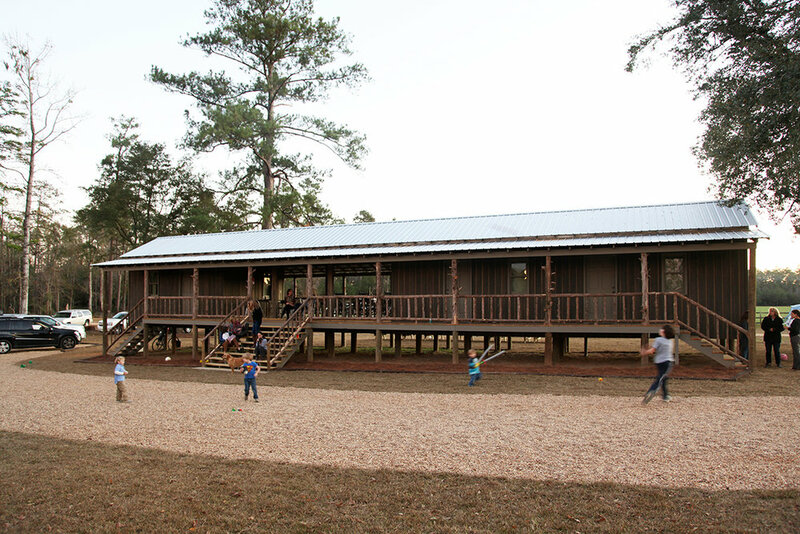 The building, which replaces three previously existing cabins, aims to increase building efficiency while maintaining the autonomy of its inhabitants, facilitate communal gathering, and provide a pleasant environment in the previously underutilized summer months. The project is designed in ‘dog trot’ style, indigenous to the area, which functions to collect prevailing winds and provide passive cooling in the hot summer months. In collaboration with Alan Locke, AIA.